Newly elected mayor Bill de Blasio has made many promises during his campaign. One of these promises was to be representative of ALL New Yorkers. However, he was criticized for his "Tale of Two Cities" philosophy which he borrowed from Charles Dicken's novel. 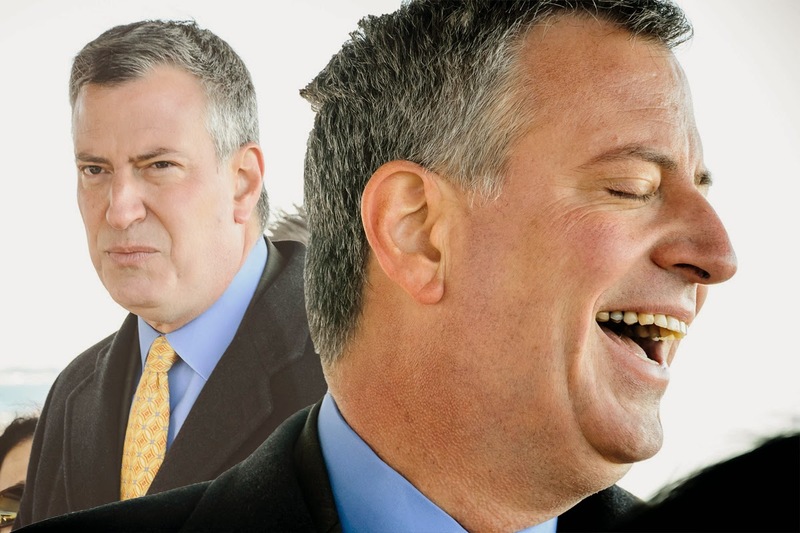 He pushed class warfare as his main platform arguing that NYC is really two cities with the rich and the poor getting different kinds of treatment from the city instead of the same. He vowed that he would be a mayor for all New Yorkers. See the contradiction? However, the hypocrisy goes deeper. Mayor de Blasio has promised not to participate in an event that is historically "New York" - the St. Patrick's Day parade. The St. Patrick's day parade in NYC is the second oldest parade in America. It began in 1762, just a decade before the Declaration of Independence in 1776! The parade begins with Mass at St. Patrick's Cathedral on 5th Avenue and 59th street. The nature of the parade is to honor St. Patrick and his contribution to Ireland. It is a RELIGIOUS parade. The Irish came in droves to America and helped form our great nation. They are devote Catholics who pride themselves in wearing green on March 17 in honor of their patron saint. However, the LGBT agenda has been trying for years to march in the parade. Not content with their own parades full of filth and sexual tones, they wish to tarnish the St. Patrick parade with their immoral displays and political tones which are contrary to religion and morals. De Blasio, a long time pro-gay advocate has decided to boycott the parade because of its refusal to cater to the LGBT agenda. The City Council, which is usually a puppet of the mayor has decided to do the same. Boston's mayor is also boycotting Boston's parade which is the oldest in the nation. De Blasio's decision shows that he is not only telling the "Tale of Two Cities," but is demonstrating the "Tale of Two Faces." He claims to represent all New Yorkers, but is obviously snubbing the Catholic Church, Catholics and Irish folks. Ironically, he marches in "Gay Pride" parades which are events that are not open to Catholicism, but refuses to participate in a Catholic parade because it does not allow the banner of the LGBT agenda. Hypocrite much? immorality in order to be respected and be represented in the City. This is offensive and a disgrace. Hopefully Catholics and Irish New Yorkers will remember this when his term is up. 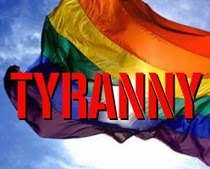 The LGBT have no right to impose their nonsense on everyone. This tyranny from a minority sub-culture must end. Moreover, beer company "Sam Adams" has pulled its sponsorship of the parade out of protest against the parade's anti-LGBT agenda stance. Catholics and Irish Americans should boycott this beer brand in response. First and foremost Michael, A happy and blessed St Patrick's Day. These people are either ignorant, amoral or are deliberately undermining people of faith, in this case, Christians. I fervently hope when the time comes to elect their respective mayors, all people of faith will hold them accountable and will take the right decision to elect individuals who possess wisdom, honour and respect. Pandering to the pink dollar is very short sighted and foolish. There will be serious consequences to pay and a great deal more headaches to follow. I dearly hope that America will soon awaken from its induced stupor. Otherwise, the price it will pay will be very costly indeed.